What a stunning hour of television. Every season, around its midpoint, The Good Wife re-evaluates. 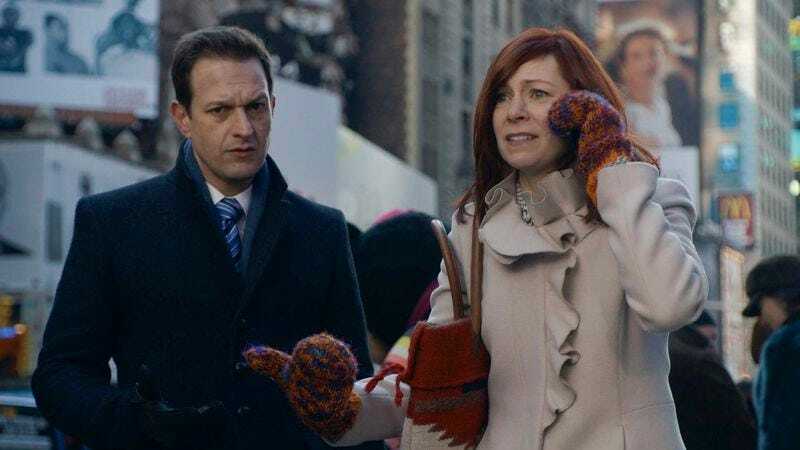 In season four, I happened to review “Red Team, Blue Team” for our Second Opinions Week, and there unexpectedly found an episode that was as much about The Good Wife, the show, as it was about the characters’ lives within it. Looking back, that episode anticipated a lot of what happened in the middle of season five; Alicia and Cary going up against Diane and Will—and winning!—and Alicia’s feelings for Will getting in the middle of what is otherwise a killer instinct. Somewhere over the course of the last few years, Alicia Florrick found her power. I think the message of “A Few Words” is that she’s still learning how to use that power. You know it’s a big moment for Alicia when she breaks into her liquor—she’s a normally very controlled person, so when she seeks that kind of uncontrolled release, it’s because there’s something else going on. The entire episode—and the entire show, I think—pivots around Rayna Hecht’s question to Alicia in their five-minute meeting in the hotel lounge. “What do you want, Alicia?” It’s such a simple question, and it is one that is so hard to answer. Especially for Alicia Florrick, because of two reasons. One, she never gives herself permission to feel what she really wants. And two, because no one in her life asks her what she wants. No one really cares. And as a result, Alicia has also convinced herself that what she wants doesn’t really matter. It’s so common, honestly, that it’s laughable. It’s the very essence of the good wife, actually. To put your feelings aside for the sake of the husband or the family. And it has defined Alicia right from the start. Control. Which I think is another way of saying power. A lot of this episode takes place in flashbacks, which is always a tricky way to do business. Something The Good Wife excels at, though, is incorporating memory—or even imagination—into a character’s thought process in the way that they would think about it, or recall it. The hand in the elevator is classic Will/Alicia elevator flirtation (I wonder if they both get hot and bothered every time they walk into elevators, at this point). And because Alicia is asked to write a keynote about how she got back into the working world after “opting out” (what a lovely, disingenuous term), she is staring into space thinking about how Will Gardner gave her a job when no one else would give her the time of day. “A Few Words” offers the idea that in some ways, Will and Alicia’s romantic relationship is the primary focus and even the endgame for the show. I think that might be why it felt unsettling for a few of my colleagues (in our brief exchanges on Twitter). It offers that idea, but I don’t think that’s really where the show is invested. 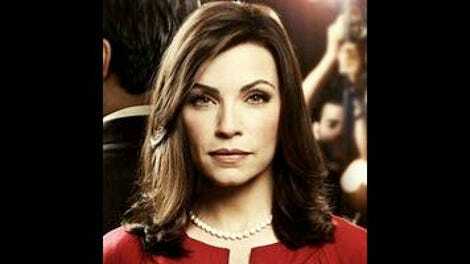 The Good Wife is instead always invested in what Alicia wants, and what she’ll allow herself to have. It’s as much a deconstruction of the figure of the faithful wife as it is a love story; Will, after all, represents something she wants, or at least something she wanted in the past tense. And: He’s also the only person that saw her, when every other law firm and headhunter instead saw her role: the good wife. Granted, he may have seen her as a potential fling. But let’s indulge our romantic sides and hope that what he felt, instead, was a moment of connection with someone he had cared about and admired. The way the show uses this speech of Alicia’s is fantastic. Alicia attempting to write her own story, of how she became a name partner at her own firm, is her attempt to write the story The Good Wife has been telling us for the last five years. She almost can’t do it—Alicia hates self-reflection. It requires her to exist beyond pure duty and gut instinct, and that’s an uncomfortable space for her (and for most of us; hence, therapy). And when she’s working on it, she’s pulled in a few different directions. Is everyone there just to hear the disgraced wife speak? Or do they see her as a strong feminist role model? There’s all of this framing, both by Alicia herself and the people around her, to try to fit her into some kind of context. And maybe some of those contexts work. But Alicia is a person, first, and The Good Wife’s first interest is her character. I love that Elsbeth Tascioni is in this episode—well, I always love Elsbeth. But she’s such a fantastic foil to Alicia’s buttoned-up, tightly wound base state. Where Alicia is reserved, Elsbeth is loud; where Alicia is careful, Elsbeth careens. Elsbeth doesn’t fit into a particular role and she has no qualms about living up to any particular idea of who she should be, and as such she is totally perplexing to the entire world of The Good Wife. Mostly because not only is she wacky—she’s alarmingly, and devastatingly, effective. And lest we forget, Elsbeth is also the major guest star in “Red Team,Blue Team.” There’s a deliberate juxtaposition here, and it’s funny that now Alicia and Will are at odds, the writers found a plot device to put Elsbeth in his life. The last thread of any importance here is that this is an episode about staying loyal to your past selves. I think one of the reasons that we help out newcomers in our professions, for example, is that we see ourselves in their shoes, and we remember what that was like. Alicia is now the governor’s wife and an accomplished attorney, but she remembers being in her powder-blue blazer in reception, waiting to talk to a lawyer, hidng her wedding ring in her pocket. It’s odd, isn’t it, that she’d be faithful to her husband (who doesn’t deserve it) and instead betray the one person who took a chance on her? It’s odd, and fantastically self-defeating. But then Alicia doesn’t really know what she wants, except to be happy, and to have some control over her fate. The problem is that no one has any control over their fates. Like, a little, but not really. We can move through the world and make empowered choices, but what’s going to happen will happen, regardless. As deceitful as Peter has been, and as frustrating as Alicia’s emotional intimacy must be, at least she feels that she’s in control of it. Will would never be that person—and since we’re talking flashbacks, Kalinda, too. Control comes at the expense of trust. It’s hard to be happy when you’re in control all the time. And Alicia knows that, on some level, Which is why despite her many, many reservations, she reaches out to Will. Naturally, this episode had to end with Alicia and Will sitting almost across from each other at a coffeeshop in Times Square—facing in the right directions, but not at the same table. It’s a visual interpretation of Will’s dismissive remark, when she asks if their romantic relationship is affecting how angry it is: “You’re mixing things. I never do that.” (Which, Will. Please.) It’s always about positioning, or timing, with these two—as the second season finale illustrated pretty well. Then, and now, what matters is when Alicia decided she could have the thing she wanted. That doesn’t look like it’s happening anytime soon.